In updating the photos for this old post, I thought about what adjustments I could make to the recipe itself. Not much to do when there's just shrimp and scallions. Except, I was always annoyed by the small bits of green onions that would get pulled out of the filling after biting into Cha Ram (Vietnamese Shrimp Egg Rolls). 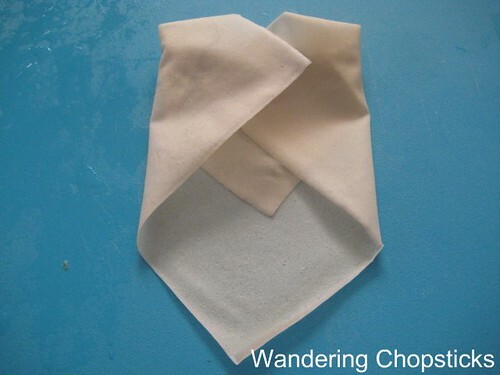 So obviously, the solution was to chop up the filling into smaller pieces. Same great flavor, easier to eat. Done! I don't know how to make the banana leaf-wrapped banh nam (Vietnamese steamed flat dumplings with pork and shrimp), banh it la gai, or banh tet that my ba noi (Vietnamese paternal grandmother) used to make. My one attempt to make her clear and chewy tapioca rice noodles for banh canh ended in mush. 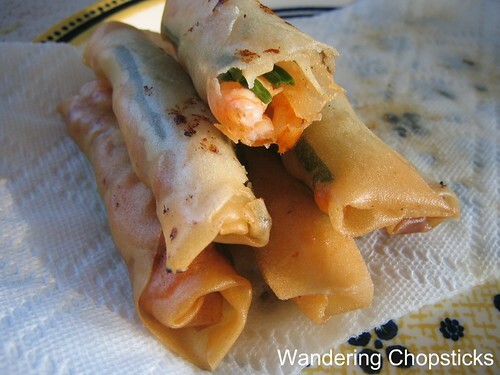 But I can make her other favorite -- cha ram (Vietnamese shrimp egg rolls). 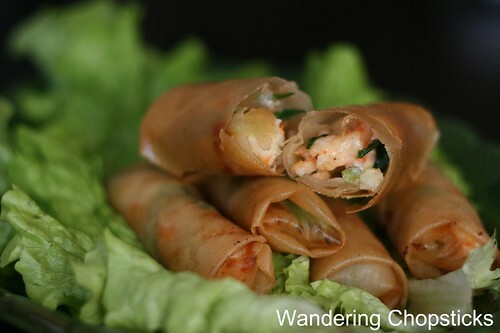 Most people are more familiar with Cha Gio (Vietnamese Egg Rolls) which are stuffed with pork, shrimp, bean thread vermicelli noodles, carrots, and mushrooms or tree ear fungus. But on the south-central coast of Vietnam, we make cha ram with just shrimp and green onions. That's it. Just two ingredients to make a light snack. I used to call all egg rolls cha ram too, but outside of my hometown in Vietnam, no one knew what I was talking about. I recently discovered a couple of Vietnamese restaurants that specialized in the cuisine of my region, so imagine my surprise when I actually saw cha ram on the menu. Except their version includes just one shrimp inside an egg roll wrapper. Close, but not quite the same. In Vietnam, my relatives would buy the smallest shrimp possible and leave the shells on to make cha ram. 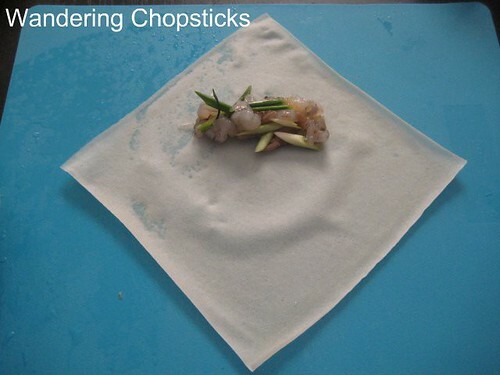 But if you prefer your shrimp peeled and deveined, my ba noi's quick deveining tip was to slide the tip of a toothpick perpendicular underneath the vein and just pull it out. As much shrimp as you'd like, peeled and deveined. Plan about two shrimp per egg roll. As much green onions as you'd like, sliced diagonally or cut into 2-inch lengths. Plan about half a green onion per egg roll. 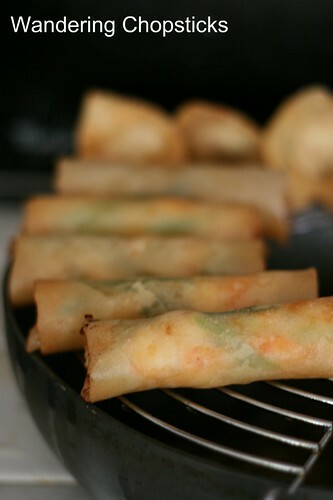 In case you missed it, read my recipe for cha gio for tips on how to make, roll, and fry them. 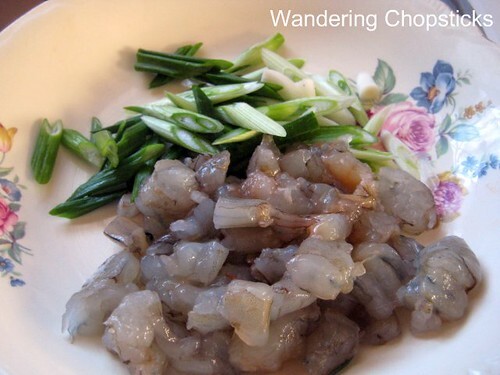 After your shrimp are shelled and deveined, sprinkle a pinch of salt over them and mix thoroughly. 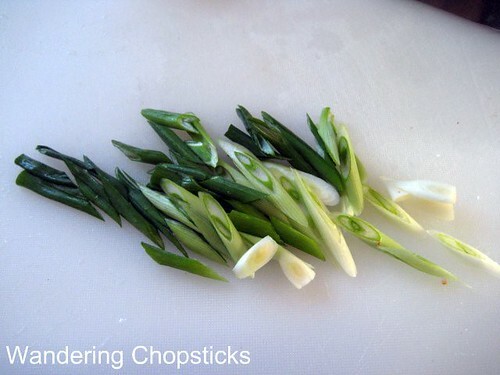 Slice the green onions into 2-inch pieces or on the diagonal. Roughly chop the shrimp and then mix the two together. Tuck in the sides so the egg roll is even. 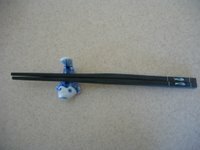 Moisten the bottom tip to tightly seal. Set aside until ready to fry. 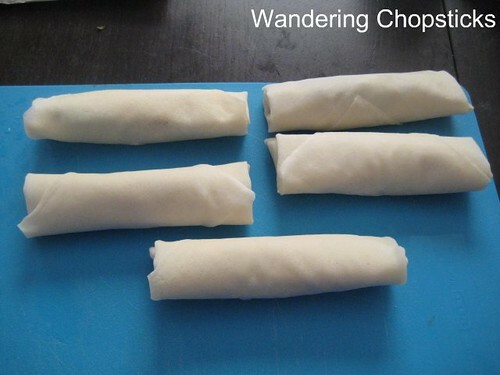 Or if you can't figure out how to wrap egg rolls from those pictures, I made a YouTube video. 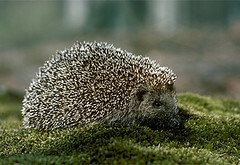 And remember to check out my cha gio recipe for frying tips. I usually fry on medium heat until golden. Serve as appetizers or a light snack. And a look at the old photos that necessitated the update. Eek! The new photos are much better than my sloppy-looking original photo of the inside. 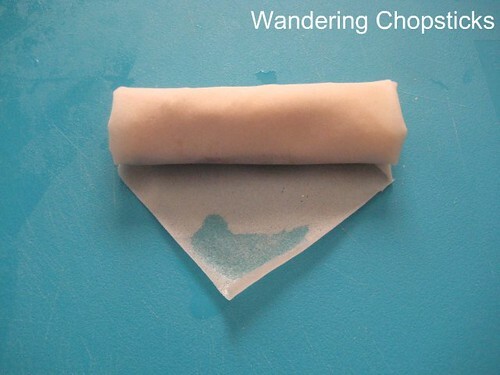 The Chinese egg roll wrapper on left and Vietnamese rice paper wrapper on the right. I'll eat your Cha Ram with Thai Sweet Chilli Sauce. hi there, I've never had this dish before, strange isn't it. This looks like a simple enough recipe for a novice cook like me though,I'll try it very soon since I've already got some prawns handy. They look so mini and cute. Those I tried in Viet restaurants are usually bigger. I believe I tried cha gio. I'm impressed by your ability to roll one-handed and film at the same time with the other hand! As I said, if you're not from the south-central coast, most VNese don't know what I'm talking about. Yeah, you probably ate cha gio, cha ram is much less common. I love it how you called it Cha ram. Another Central region fellow I see :-) I came to your blog via noodlepie. Great blog you have here. Thanks for sharing your photos and recipes. Your comment about no one knowing cha ram on the gastronomy website led me to this post. I've always known it as simply ram. My mom is Trung and so we eat it too. 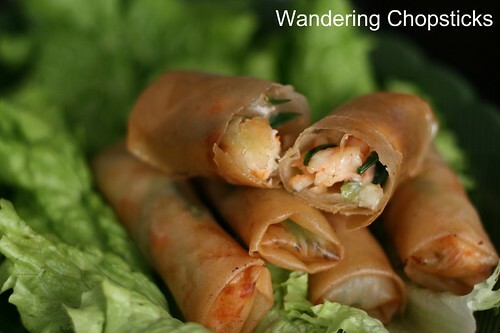 We eat it as an accompaniment to nem nuong - we roll all this in banh trang. It's a Quang Ngai specialty. One other "spring roll" alternative is ram bap - corn spring rolls. You must try when corns are in season! It's always nice to find other nguoi Trung. 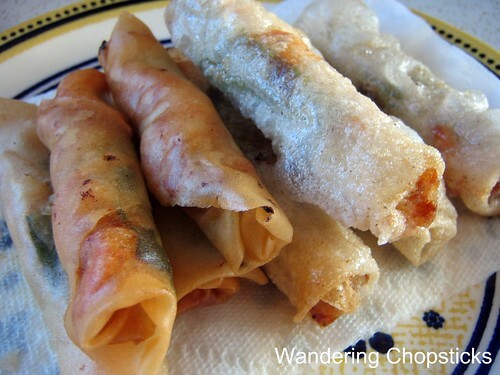 :) My family usually eats plain wrappers with nem nuong. I'm gonna try your recipe for ram bap soon! I really like the way you photographed these delicious egg rolls. That corn roll (cha gio bap) has quite intrigued me. I love corn... but, the frying, the frying! Especially since we can't just make a few; there'll be a riot! I guess I can always make some just for me. Teehee. Nice update on the photos. There's a local restaurant here that features the cha ram, but with only the single shrimp as you mentioned. They seem to be primarily an accompaniment to the nem nuong. I love how neatly they fold up. 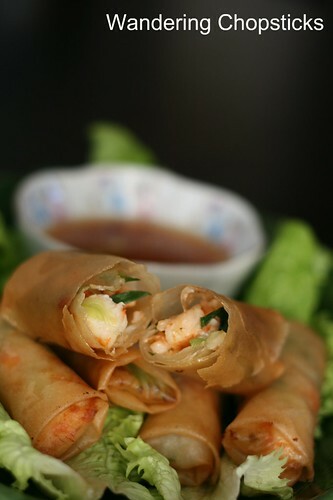 I do miss my spring rolls but dislikes deep frying! I wonder can I bake them and spray them with oil instead? Yup! No need to overthink it! Haha. You like the messy dishes included in the video? :P The corn egg rolls are really good! I must make them again soon since corn is coming into season. The other restaurants around here do just the shrimp too. I guess the scallion thing is something my hometown adds in. Thanks! It took some work. My egg rolls used to look pretty ugly. Haha. What is this fear of deep frying? Recently, someone else asked me if they could bake instead of fry too.